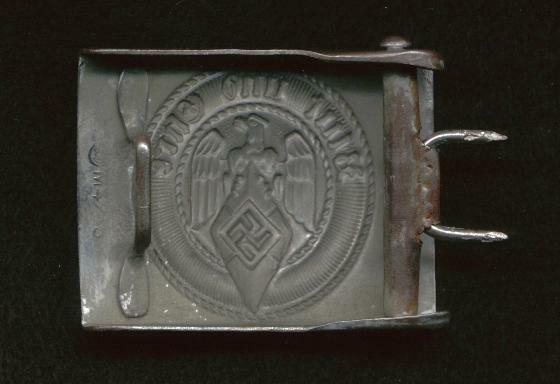 This is a nice Hitler Youth belt buckle. It shows honest wear and was not abused. It is brass and still has approximately 80% of it's plating around the edges. The center retains 100% of it's plating. It is marked RZM M4/45 on the reverse. Please email me for the shipping costs.